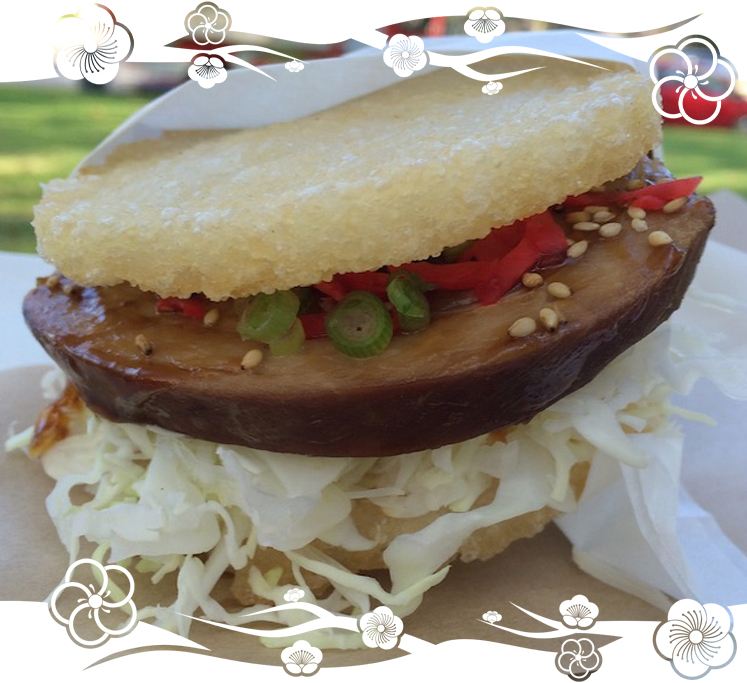 One of our most notable menu items is our Pork Chashu Sandwich. Some of our customers are probably only familiar with chashu in the context of ramen. So if you’re unfamiliar with the item, this is the blog post for you! If you already know, you can still keep reading. There’s plenty of tasty food pictures. The Japanese name “chashu” actually comes from the Chinese food item with a similar name, “char-siu”. There’s plenty of classic Japanese food items with roots in other countries. However, over the years, they manage to transform those dishes to be something uniquely Japanese. People make char siu with pork and seasoned with honey, five-spice powder, hoisin sauce, dark soy sauce while the other ingredients vary. These days, red food coloring is common in char siu. 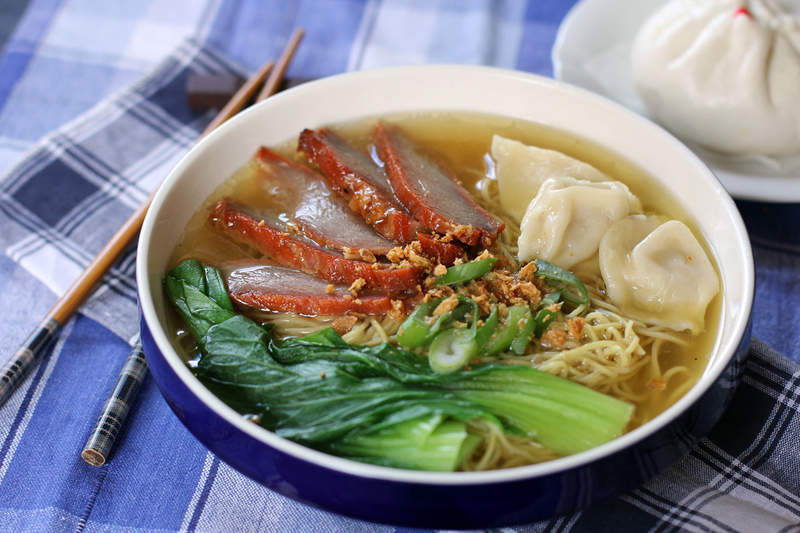 Slices of char siu in wonton noodle soup. People serve char siu in many ways, sometimes as simple as sliced with rice, or chopped up in a bao, or pictured here on top of wonton noodle soup. The Japanese version also tends to be served in a similar way, chopped and served on rice as a chashu don, in a bun, and on top of ramen. Japanese chashu is fairly differently from char siu. It is typically braised and, ingredients vary from recipe to recipe. Recipes usually contain sake, mirin, in some way and form. Sometimes a recipe uses negi, garlic, ginger in addition. Braising involves cooking the pork log for hours in the marinade to make it flavorful. Okamoto Kitchen also employs the same method with our Pork Chashu Sandwich. If you’re in the mood for a different type of chashu dish, be sure to stop by Okamoto Kitchen and get it before it’s gone!